Created in partnership with DoneGood, Purchase for the Planet is the online store where you know your purchases are supporting eco-friendly brands and helping to fund environmental non-profit organizations. All the products and special offers you’ll find here are from brands that are both members of 1% for the Planet, and have been DoneGood-approved for highly ethical and sustainable business practices. 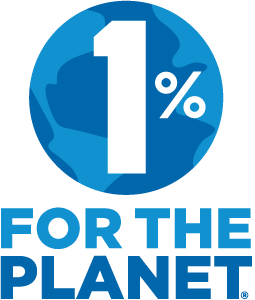 1% for the Planet is a global movement bringing dollars and doers together to accelerate smart environmental giving. 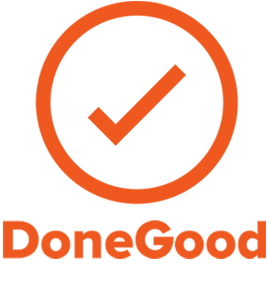 DoneGood is the leading online source for discovering brands that make the world better. Together, we are making it easy for shoppers to use their purchasing power to create a healthier planet. Climate change is an imminent threat, our food systems are increasingly stressed, and our land, water, and species have become endangered like never before. Organizations focused on protecting our environment and wildlife receive only 3% of total U.S. giving or around $11 billion each year. This is only a fraction of what is needed. Meanwhile, American consumers spend upwards of 130 trillion dollars each year on a wide variety of goods and services. That’s over $350 billion each day. Creating and consuming these products also accounts for nearly one-third of U.S. carbon emissions. If even a fraction of these purchases were redirected to companies that support eco-friendly business practices and efforts to create a healthier planet, the impact would be exponential. Consumer purchasing power is the world’s greatest force for change, especially where the environment is concerned. Whether positive or negative, the money we spend dramatically impacts our food, water, air, land, climate, and wildlife. Saving the planet—its oceans, species, and lands—starts with us. Pledge to Purchase for the Planet and show the world that the world matters to you.